Growing a long beard requires patience and dedication, but it is well worth the effort. A well taken care of beard adds character and is uniquely masculine.Whether it is already at the length you currently desire, or you are still in the process of growing it out, you should know how to trim long beard and care for it properly to avoid a sloppy look. Follow this step-by-step guide to get a professional-looking trim in the comfort of your own home. Before learning how to trim long beard, you should first prepare for the process by getting your tools and face ready. For starters, you’ll need a high-quality beard trimmer. Remember, your final look relies on the this tool so don’t skimp out. A reputable trimmer will last you for years to come and be well-worth the initial investment. Next, you should have a fine tooth comb for detangling your beard during the trimming process and to help shape it afterwars. Hair-cutting scissors can also come in handy for touch-ups. Beard oils or balms are also critical products to maintain the look you want when you are done trimming. These products keep your facial hair looking shiny and healthy. Gather your supplies ahead of time and lay them out in front of a large mirror. This way, they are ready to go and within reach. Before jumping into the grooming steps, make sure that you have a clean slate to work with. Therefore, you should wash and apply conditioning on your beard first. This is a critical step for anyone wondering how to trim long beard like a professional. Washing removes built-up oils. 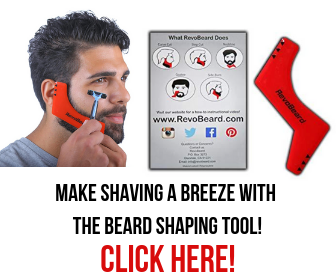 This step allows you to comb out your beard with ease which can prevent issues like clogging your beard trimmer. A difficult beard can dull the blades over time. Allow your beard to fully air-dry if possible or use low to medium heat from a blow dryer before trimming. Wet hair is difficult to shape properly making this step critical to a polished final look. If you have sensitive skin, you should consider moisturizing your skin to protect it during the grooming process. Comb out your hair in the direction that it naturally grows. Remember to take your time and don’t try to force hairs into place. When it comes to learning how to trim long beard, working with the natural shape of your hairs is essential for success. Once you have fully combed your hair, determine the look you want. From sleek and tapered to rough and edgy, there are many options for you to consider. Keep in mind your natural direction of growth so you can pick a style that works best for you. When you are satisfied with your choice, determine how much length you want to take off before jumping into trimming. Knowing exactly what you want beforehand can prevent accidents like removing too much hair or worse– an uneven shape. Start with a longer guard level for the initial trim, especially if this is your first time learning how to trim long beard. Doing so will prevent you from accidentally removing too much hair because it gives you more control. Once you are satisfied with the length, you can shorten the guard level for a tighter looking fade around the edges of your beard. Don’t stress over any stray hairs. Focus on shaping the majority of your hair blades during this step. Remember, you can clean up your look later. Make sure to stretch your jaw and surrounding skin gently while trimming your beard to get a clean and even cut. One popular technique is to use the same guard level as the sides of your hair on your sideburns and cheek hair to create a natural-looking blended effect. Take your time and make sure you have a good view of each side of your face while trimming to prevent mistakes. When it comes to learning how to trim long beards properly, the touch-up process is as important as the initial trim. 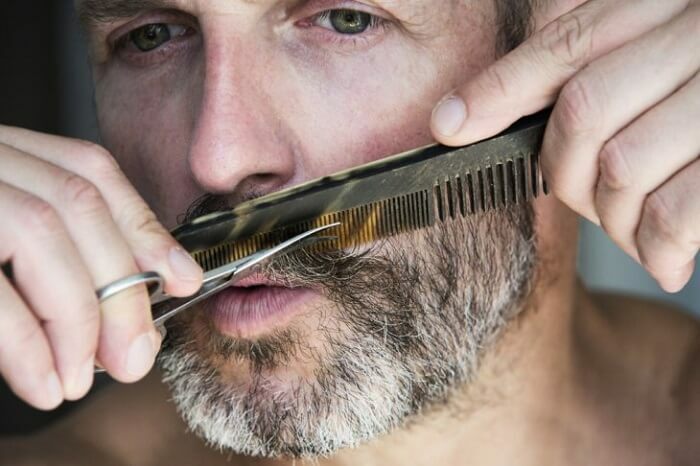 Use hair-cutting scissors to remove any stray hairs from your beard. Cutting down at a slight angle can help blend the hair blades into your desired shape more effectively than cutting the hairs horizontally. You may need to comb your beard several times during this step to ensure that every last stray is cut. 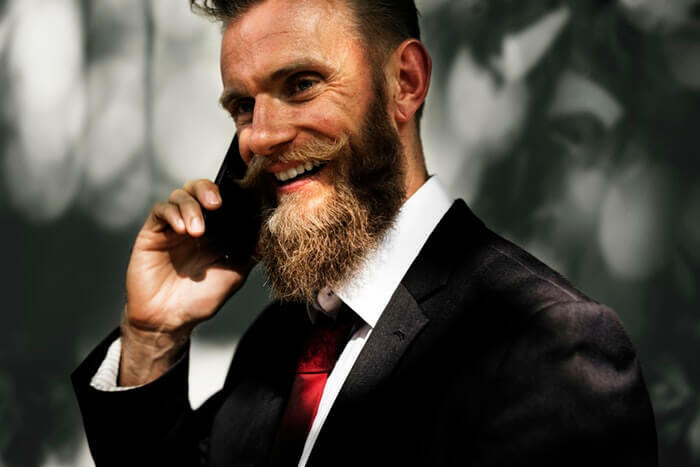 Aftercare products like beard oil and balm can help keep your beard in place and make it appear healthier and more voluminous. These products are essential for men with curly or wavy hairs. Follow the package instructions for the best results and remember, a small amount of product can go a long way. Applying too much can result in a greasy texture and even contribute to breakouts. Starting a set trimming routine will keep your beard looking its best. This will largely depend on how fast your beard grows and the length you want to maintain. As a general rule of thumb, weekly trims on a scheduled day works best for most men. Remember, you may remove more or less depending on new growth. Consequently, take your time and adjust the guard level on your beard trimmer appropriately each week to suite your needs. Regular touch-ups make it easy to learn how to maintain a beard and prevent stray, scraggly hairs from destroying your look. Learning how to trim long beard can be daunting at first. Nonetheless, it gets easier over time with regular practice and patience. By following these steps, you can enjoy saving time and money from visiting the barbershop. Don’t forget to share your experience with trimming your beard and the tips that worked best for you.